The team of writer and activist Mary Johnston and artist N. C. Wyeth offers a fascinating case study of non-veterans collaborating to interpret Civil War battles. 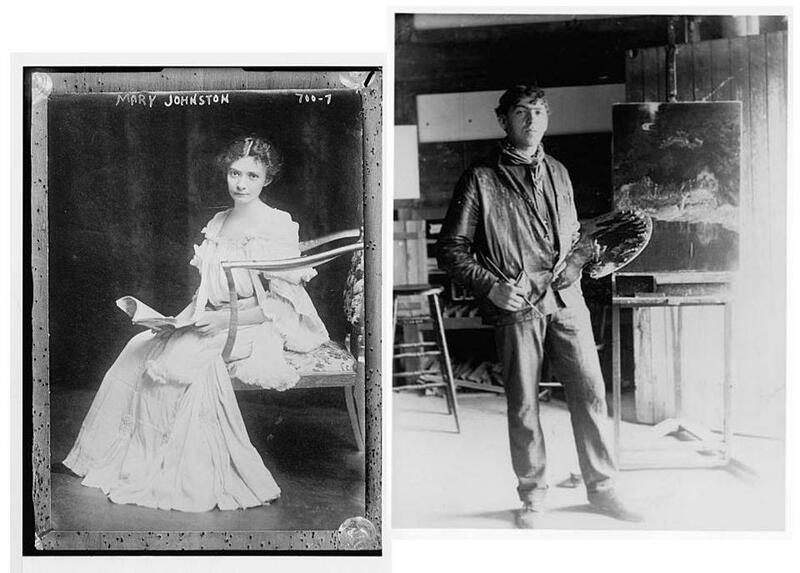 Public domain images of Mary Johnston (Library of Congress) and N. C. Wyeth (Wikimedia Commons). 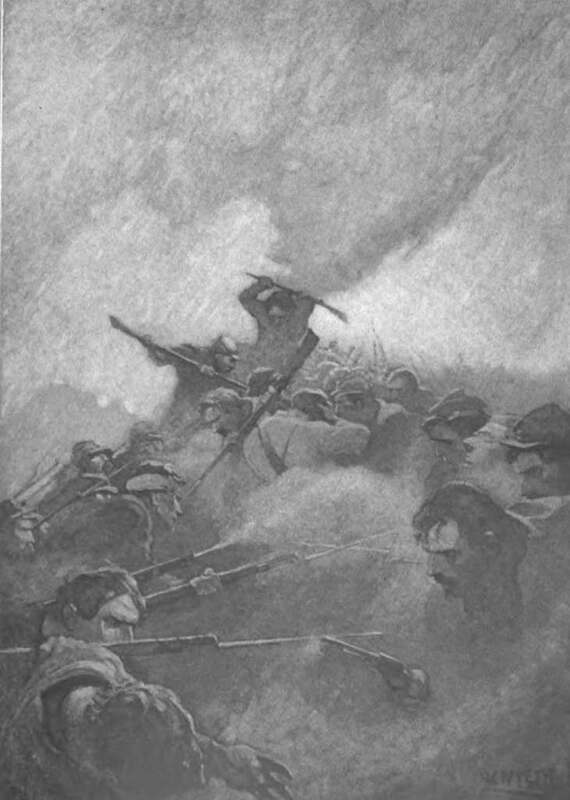 The trenches grew slippery with blood. It mixed with the rain and ran in red streamlets. The bayonet point felt first the folds of cloth, then it touched and broke the skin, then it parted the tissues, then it grated against bone, or, passing on, rending muscle and gristle…. Where weapons had been wrested away men clutched with bare hands one anothers’ throats. And all this went on, not among a dozen or even fifty infuriated beings, but among thousands. 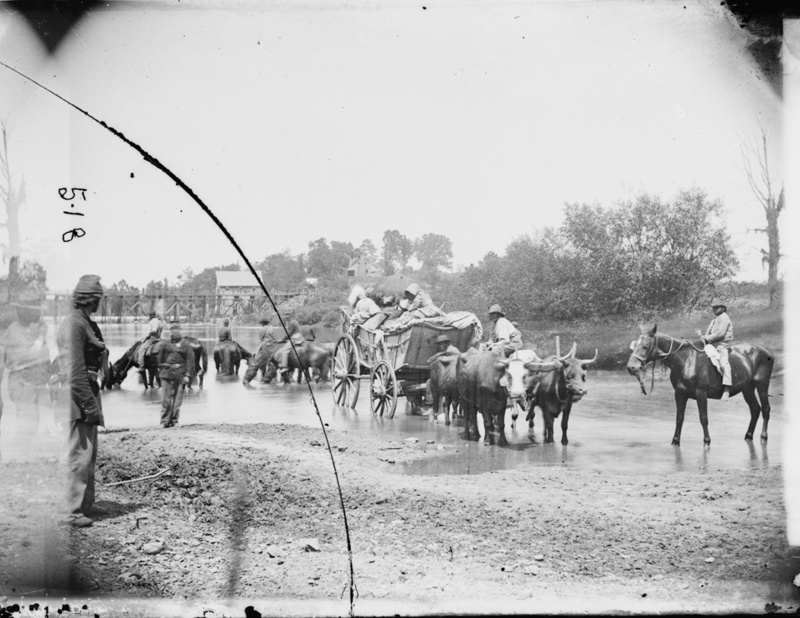 Today is the 150th anniversary of the iconic photo taken by Timothy O’Sullivan of a group of escaped slaves crossing the Rappahannock at Tinpot Ford near modern Remington. To honor the event, a group of friends including Bud Hall and Craig Swain visited the site this morning. Craig has written about the visit and the photo here. Hot off the press: You might be interested to know that this fall Eric Mink, Noel Harrison, and John Hennessy do a special speakers series based on Mysteries and Conundrums. It’s a chance for us to meet some of you, and you us, and look at some of the more interesting mysteries and conundrums we have unraveled and some we continue to work on. The idea is to share in live time some of the discussions we have, or hope to have, in this forum, and give you an opportunity for you to ask questions or raise new mysteries and conundrums. We’ll rely almost entirely on historic images, and will lookly deeply into them, focusing on the the new, the interesting, and unusual about the Civil War-era landscapes in and around Fredericksburg. September 10: Mysteries and Conundrums: Civilians. Harrison and Hennessy will reveal some of the more curious things that emerge from period photographs, art, and documents—what they tell us about the civilian landscape and the people who lived there. October 1: Mysteries and Conundrums: Killing Fields. Harrison and Hennessy will look intensively at period images of battlefield landscapes—including some taken while fighting was underway—as well as post-war and even aerial imagery of the fields. November 19: Mysteries and Conundrums: Building a Battlefield Park. Eric Mink will explore his compelling work on the evolution of the park, touching on the Civilian Conservation Corps, segregation, and some of the more curious episodes in the park’s history. In my meanderings through newspapers this week I came across this item from the Fredericksburg News in January 1867. 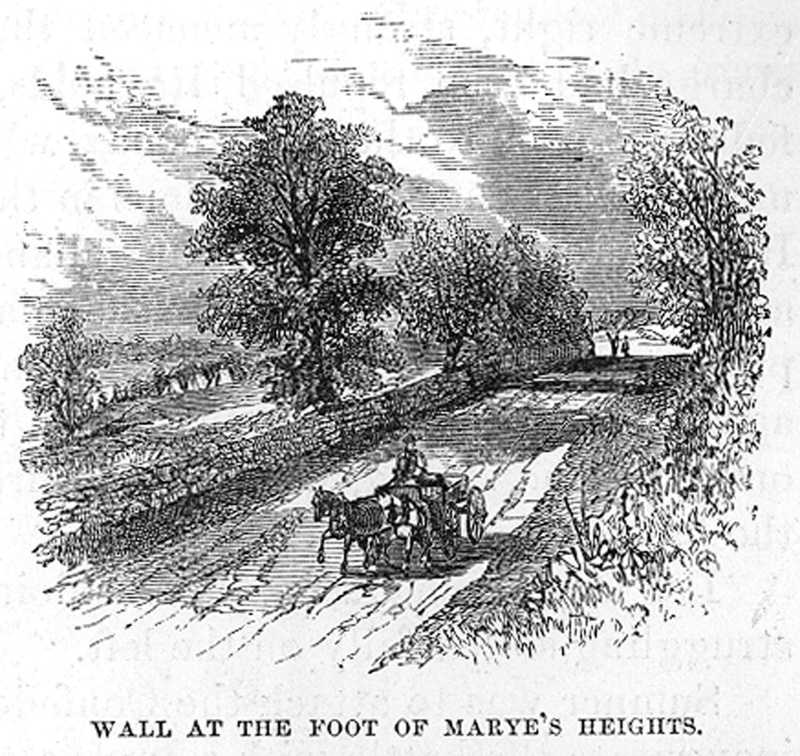 It was written while the Union burial corps was at work moving the Union dead at Fredericksburg to the new National Cemetery on Willis Hill (the southernmost portion of Marye’s Heights). The article drips of bitterness and speaks to the continued wretched condition of the local economy. Camp of the Union burial corps along Sunken Road after the war. 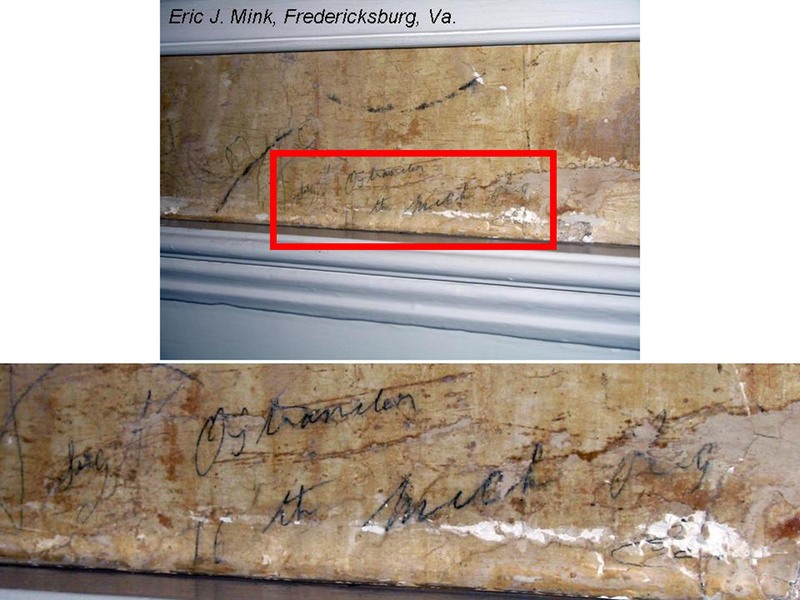 This piece highlights a couple of things that warrant a future post–the idea that Lee’s army did not fire into Fredericksburg, and the irony that the fields that produced food sent to relieve the Irish famine in 1847 would later witness the deaths of so many Irishmen on December 13, 1862. More on both soon.